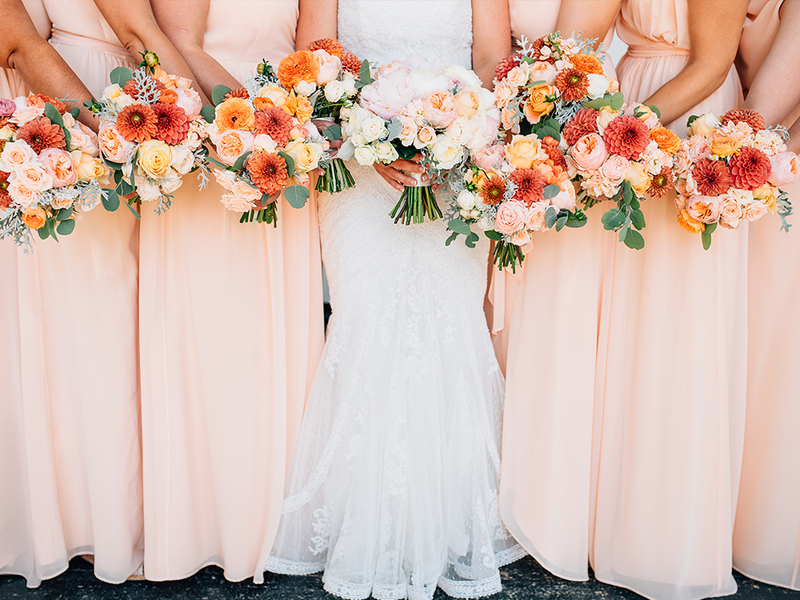 Juliana and Patrick's Vibrant California Wedding full of coral charm peonies and ranunculus is featured on The Wedding Chicks. This wedding was a special one for me, and not just because the groom's last name was Noonan, but because Christine and Tommy are such a sweet couple and she's has the most radiant smile! Christine and Tommy Noonan were married at Hammersky Vineyards in Paso Robles on July 18th, 2015 with a vineyard inspired wedding with romantic colors of peach and blush. Thank you to Kelsey from Ken Kienow for these beautiful photos! We see so many combinations of blush and creams with wedding flowers, which is beautiful, but for this inspiration shoot with Mirelle Carmichael Photography, we wanted to provide inspiration for couples with a new color palette that gives the same soft and romantic feel but with a little more color. 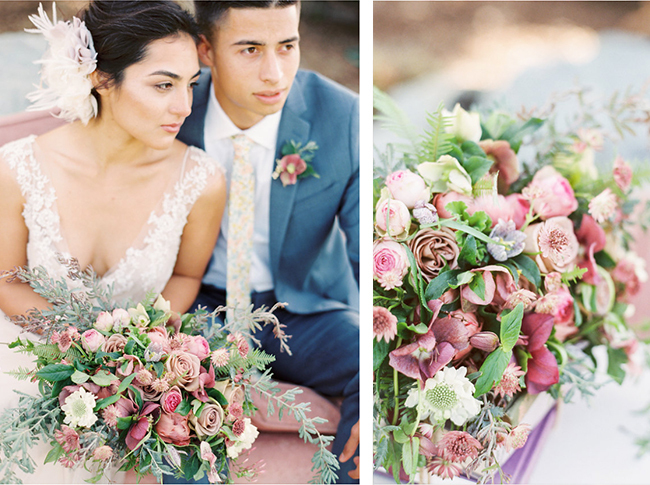 This shoot incorporated the dusty pastel hues of mauve, lavender and even foliages which give a dusty grey and purple-lavender hue. For the flowers we used some less commonly seen blooms like the hellebores in antique, astrantia in the mauve color, which gives movement and delicacy to the arrangements and then mixed in some of your more commonly used flowers, like the amnesia roses, pink lace garden spray roses and foliages like the fern and jasmine vine to soften the look. Thank you Style Me Pretty for sharing our vision with your followers! Make Sure to head on over to their blog to see more inspiration! Kimberly wanted to make a statement and her wedding did just that- from the stunning black Vera Wang Dress to the 100+ gardenias we used to make the barn at Greengate Ranch, smell like a warm Southern night it was an unforgettable wedding. For the flowers she focused solely on decorating the barn, and wanted her guests to feel like they were walking into a Southern Night with the sweet smell of flowers. We decorated both chandeliers at Greengate and the 4 posts with over 100 gardenias, lilies, stock, hydrangea and foliages. Thank you Green Wedding Shoes for sharing!